Born in Boulder, Colorado, artist Nancy Bauer has many ties to the world of art. 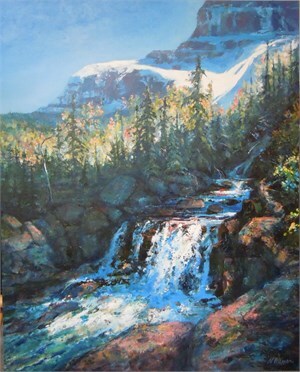 Both her mother and grandmother painted and Colorado artist Jac Kephart is her maternal uncle. Nancy has had experience with sculpture, pastels and drawing pencils. She is currently focusing on oils and has been painting with them since 2004. She enjoys the texture of the paint and appreciates the color range, which is limited with pastels and pencils. She is excited about exploring with visual effects in oil paint. In her "other" life, Nancy is the VP of a water testing lab. 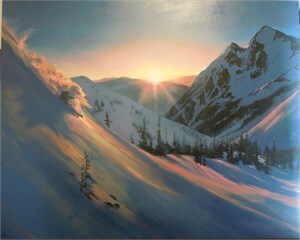 Her work can be seen at the Breckenridge Art Gallery. NANCY BAUER Born in Boulder, Colorado, artist Nancy Bauer has many ties to the world of art. Both her mother and grandmother painted and Colorado artist Jac Kephart is her maternal uncle. Nancy has had experience with sculpture, pastels and drawing pencils. She is currently focusing on oils and has been painting with them since 2004. She enjoys the texture of the paint and appreciates the color range, which is limited with pastels and pencils. She is excited about exploring with visual effects in oil paint. In her "other" life, Nancy is the VP of a water testing lab. 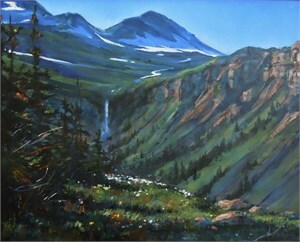 Her work can be seen at the Breckenridge Art Gallery.